Apple knows how to keep the excitement level up and this time the onus of excitement building has been shifted to iPhone 8, which is going to make an entry into the mobile world soon. 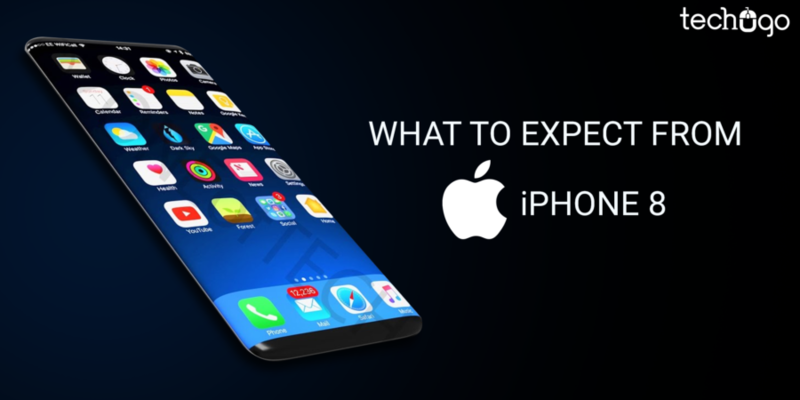 Apple is going t celebrate its 10th anniversary in the fall of 2017 and with this iPhone App Development, there is going to be iPhone 8 with its sizzling features to go along with. Since the Apple has announced the iPhone 8 arrival, the rumor mills have set on high with different predictions and expectations oozing out from the user’s perspective. It is both rumored and expected that the iPhone 8 is going to have a completely new design of the iPhone 8, and it is going to have an edge-to-edge display and the Touch ID would either be built into the display or might be removed completely and would be replaced by the facial recognition technology to improve the aesthetic appeal of the handset. It is likely to be equipped with no top bezel or the home button below, but all screen and would have a rich AMOLED display. The 3D sensor would contain the advanced technology. Apple CEO has already hinted at the WWDC 2017 that Apple would transform the artificial intelligence, so it is very much expected that with the iPhone 8, Apple is going to bring the AI in some unique feature to improve the user experience. The mobile app analysts believe that the iPhone 8 will have a “revolutionary” front camera featuring the 3D-sensing capabilities, which would allow the phone to determine the depth and location of the objects in a 3D space. This would be a beautiful introduction of AR feature in the iPhone 8’s camera and also, Apple might integrate the dual-lens camera and both lenses (wide-angle and telephoto) will feature optical image stabilization. The camera app may be able to recognize and manipulate faces in the future, to give a seamless user experience with the advanced technology. A large set of speculations suggest that finally there would be wireless charging in the iPhone 8. The iPhone 8 is likely to have glass body, which further proves that wireless charging is going to happen to iPhone 8, but sadly the glass body would only be a part of selected models, which clearly means wireless charging would not be a part of all iPhone 8 models. The much awaited virtual home button is going to be a very much part of iPhone 8, which can its size or disappear entirely, depending on the app or task. The whisper mongers have suggested that iPhone 8 is going to be more waterproof than iPhone 7. The iPhone 7 can remain submerged in the water for 30 min for about 3.3 feet, but iPhone 8 would be able to survive in the water for around 5 feet deep. The OLED display is popular for preserving power and iPhone 8 is going to have an OLED display to have longer battery life. With iPhone 8, Apple is rumored to introduce an all-white iPhone 8, apart from the regular black and rose gold. The another most fascinating rumor which is going round, suggests that there is likely to be a new color, entering the legacy list of iPhone models; Blush Gold, although it is not clear how this color would look like, but waiting for it would be worthy enough. There are many other sets of rumors circulating related to iPhone 8, which would get clearer only once the iPhone 8 would finally be launched, and we all can experience the series of different features with this new member of the Apple family. On the other hand, if you are looking for a mobile app development company for your mobile app requirements, then proceeding with Techugo- a leading name in the mobile app industry would be the wisest decision for your business health and revenue boosting. At Techugo, we take pride in developing the mobile apps for the leading brands to start-ups and our mobile app development team has the expertise to create a unique variety of mobile app solution for your business needs, which would help you to showcase your idea, goal, and dream in the most informative and engaging way. Our team of top mobile app designers is here to help assist you with every step of your iPhone app development strategy. We consult, brainstorm, manage the project, design, develop, test, launch, and market apps in the best possible way. You can get in touch with our team to discuss further your concept to bring into reality. The discussion would help you to gain a better insight of your app requirement.